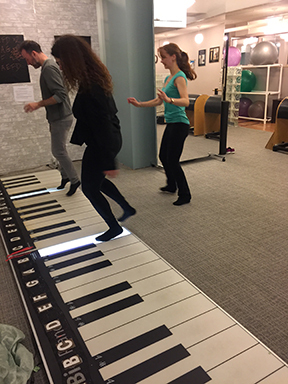 Big Piano™ Fitness: Exercise your BRAIN and your BODY! Pilates is all about control, precision and fluidity, but let's face it: Life does not always present itself that way! Speed, quickness and agility training are important components of a comprehensive fitness regime. 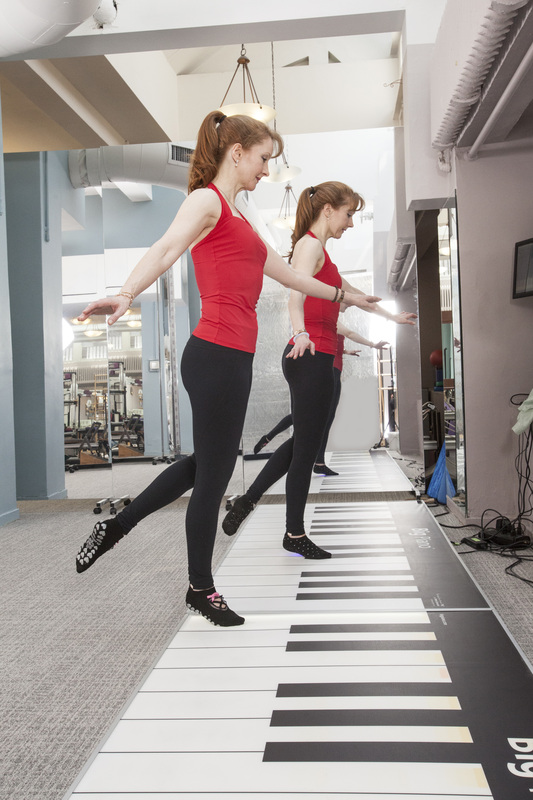 The Big Piano™ puts FUN in functional fitness and the BRAIN into Mind Body training. 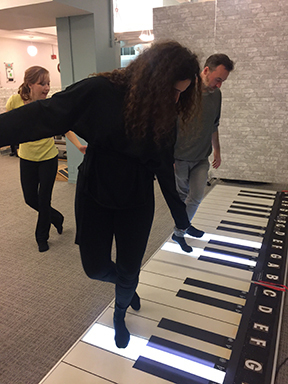 to create a fitness experience that challenges the body and the brain. your mind and memory while rediscovering your "play"ful side. “I loved it. I was thinking of NOTHING else… not my smart phone, my work, my to-do list. 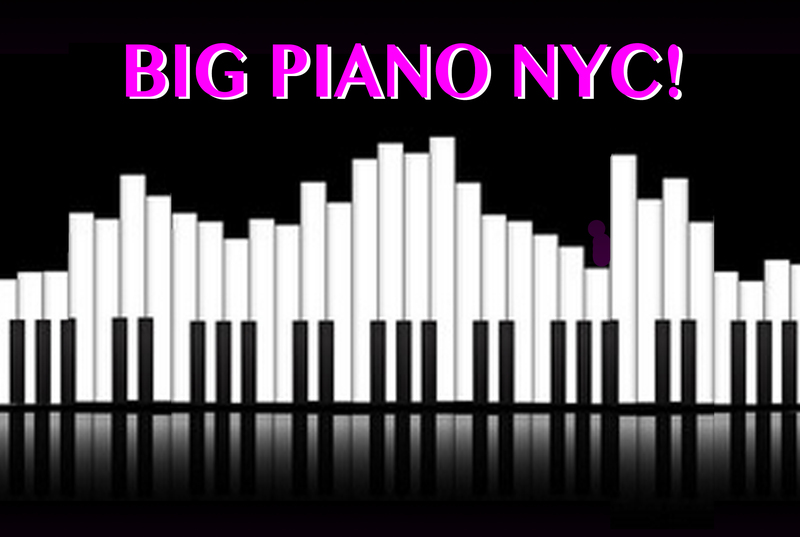 I loved the total concentration.” ~Donna M.
Schedule a Big Piano™ experience for you and your friends or family. 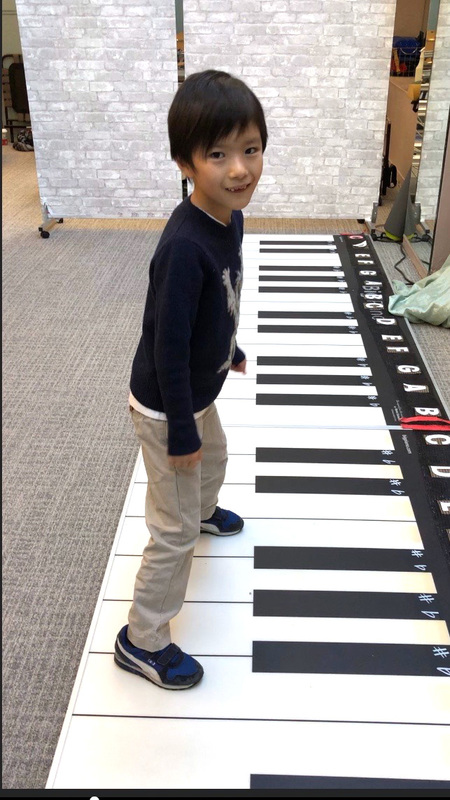 We start with a simple warm up (on the keys, of course), and then proceed with speed, agility, memory and balance drills, with melodies sprinkled in throughout. and this special adventure is unlike any other offered in the country! Josh Baskin, during the famous “Big” keyboard scene at F.A.O. Schwarz in New York City? 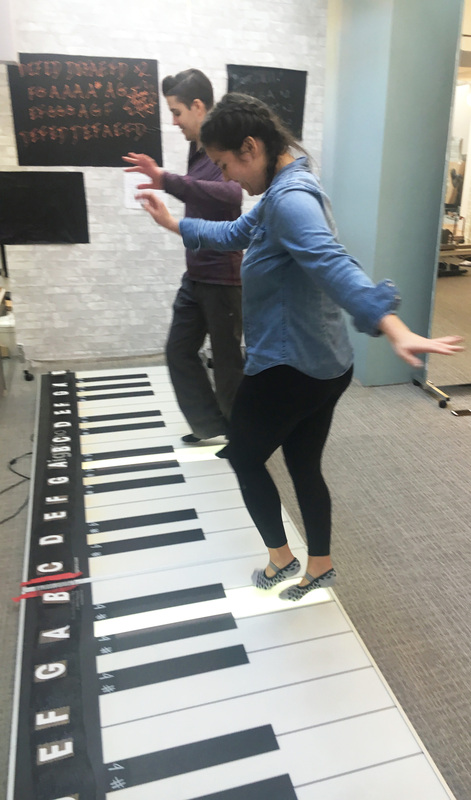 delight in this fun fitness class for music lovers who want to channel their inner child.